So with the wonders of the internet – she turned to the REAL experts to help her. Who had “been there, done that” when it comes to growing up on the spectrum. “What is one thing you wish your parents had known when you were growing up? And as you can imagine she got some absolute golden parenting tips. “Autistic inertia is a real thing, she’s not being lazy. * Previous failures can leave a fear of trying again. * Poor executive functioning can mean they aren’t good at organizing themselves. * Sensory overload can cause them to end up frozen in the moment. * Communication issues could mean they are not understanding what is expected of them. * The sheer exhaustion most aspies feel after a day of dealing with the world, can greatly reduce their ability in that moment. There’s often more than 1 or 2 of these problems added together at once. Which, as you can imagine, can have a big impact on your child’s ability to do a certain task. way to teach them skills … how to build self-esteem … and just so much more. This mom’s article is a great little resource. and come out the other side) just register your details today at clicks.aweber.com/y/ct/?l=Kdjaj&m=3fLNUOTRB9JlRMX&b=mlPtoCUnWYmd.dX0KzJM9w – and then I’ll send you the link to this really helpful article. From what I’m told – series 2 of The Good Doctor comes back to TV screens later this year. Which has inspired me to take a little fr-ee time and catch up on some of the later episodes from series 1. (I binged watch the first 10 or so before Christmas and just haven’t had time to watch the rest). It’s always good to watch the show. To see what they do well about autism . . .
and what they do badly. So I’m gonna write some more emails about the reminder of the series. Plus share some interesting nuggets about the show, including reactions in the autism community. I plan to send you these emails next weekend, and I’d love to share some of your views. (If not simply do it the old fashioned way – hit ‘reply’ to this email to tell me your thoughts on the show). Has it provided inspiration or hope? Or do you think it’s over sanitized Hollywood fluff? Would love to hear from you – so I can share some ideas and opinions from you guys next weekend, in my messages. Online gaming is a thing many young people with ASD will do for hours on end. It’s away from the social pressure of the real world. It’s something they may excel at. And it’s something that takes their stresses away. So you can see why some teens with ASD cling to their gaming, and are not happy at the idea of cutting down. It fulfills a lot of their needs. So it makes sense that to replace some gaming time – you need to find something else that can help your child. One example is the stress relief they get from gaming. 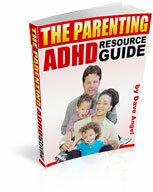 Children with ASD experience a lot of stress every day. So it’s about finding other ways, than gaming, to deal with that stress. Therapist Nathan Driskell told me about a proven method he uses. Which has been used with variety of people for many years, and has been scientifically tested too. It involves concentrating on things around you. Noticing them in detail. It’s like ‘mindfulness’ and it really helps you calm a great deal. Do you ever feel like you’re a bad parent (and losing your sanity)? Got a message recently from Jody. She’s the mom of a 12 yr old with ASD. “The emails I have received have been a gift. would handle the meltdowns and behavior if they were me. Several emails I just can’t believe how you speak right to me. That feeling you’re losing some of your sanity. Because of the strange and challenging things you deal with daily. That feeling that you’re a bad parent. Because other ‘helpful’ individuals think they have some divine right to advise and criticize you. (Hint – THEY DON’T. Unless they experience similar issues, or have some realistic insights, they need to keep their opinions to themselves). That feeling your child might actually hate you. (Hint – THEY DON”T. It’s actually just the opposite, they love you more than anyone. It’s how they show this can be the problem). parenting. Coping with all the demands on you emotionally and psychologically. Not even considering the physical strain, which worsens how you feel too. When you’re sleep deprived . . . exhausted from dashing around after children . . . appointments . . . household ‘bores’ . . .
maybe work . . . maybe home schooling . . . maybe caring for other family members too . . . stands to reason you’re not gonna be at your best mentally. Try to take the time for yourself each day. “Yeah right!” I hear you cry. Stop laughing and rolling your eyes, just give me a second here . . . Even if it’s just 5 minutes in your car reading a good book after the school run. A 10 minute walk in the fresh air on your break at work. A relaxing hot bath at the end of a long day. minutes to yourself. It’s a start. A little moment of peace for your mind and soul. Please give it a go. In fact if you have any creative ways how you achieve this in your own busy life let me know – as I’d love to hear. then just register your interest at clicks.aweber.com/y/ct/?l=Kdjaj&m=3mYVsOvJT9JlRMX&b=Hv_wJtG92zJ0RF.4tE1iPg and I’ll send you the link to our group. Every now ‘n’ then I share some of my recent messages. Can be a reminder. Maybe you missed some. Or maybe you’re just new around these parts. So here’s 11 of the latest parenting tips I’ve put out. I talked yesterday about the importance of body language. (the words being said are just 7%, and 38% is down to voice tone). So to help you identify how much of a problem that may be for your child, here’s a 19 point body language checklist. OK pull out a pen and paper . . .
10. Their social skills are not great. 11. Their sensory processing can be a bit off. 12. Their own body language does not suit the moment. 13. Executive functioning can be a great struggle and their thinking, organizing and reasoning skills are a challenge. 14. Their facial expressions don’t suit what has been said – you may talk normally to your child and they pull a face like you have been very rude . 16. They are reactive in their behaviors rather than just replying to a simple statement or comment. 17. Their body language makes them appear that they are ‘under threat’ all the time. 18. They can become introverted. rude etc, this shows they have assumed they are being mistreated rather than being given a clear task to complete). How many yes’s did you get? My guess is that it will be quite a few. Stands to reason as body language is not a natural aspie strength. In fact it can be a major problem. of this resource today in our members area. Simply register for your membership at the following webpage: clicks.aweber.com/y/ct/?l=Kdjaj&m=3gSWE0Cxb9JlRMX&b=Wsla9CyBEHrhdXpWOuRLYw (and you’ll then get a link to the EBook). Is your child getting this wrong 93 times out of 100? That only 7% of communication is verbal, i.e. WHAT we say). 38% is tone of voice. Now those are pretty precise numbers. But the principle seems to have stood the test of time. That WHAT we say is much less important than HOW we say it. Can you see a problem here for people on the autism spectrum? Here’s 3 immediate ones I see . . .
“They caught a bass” Vs “His voice belongs in the bass section”. Problem 3. Children with ASD struggle with body language. Shrugs, nods, eye contact, foot tapping, yawning, pacing. They all tell you something about another person and what they are communicating. So this non verbal communication is a BIG issue for people with ASD. If they really struggle with it – they may be getting as little as 7% of any message. Or to turn it on their head – they are getting 93% of it WRONG. * Fail to follow instructions. * Find it really tough to keep a conversation flowing. * Cannot predict how another person is thinking or how they may react. So to help this problem we decided to go for the biggest number first . . .
55% of communication is body language. So we’ve put together a resource called “Understanding Body Language for Children with Asperger’s”, which does exactly what it says in the title. language skills you make them better at communicating . . . And when they are better at communicating – they will have a better chance of surviving in the world around them. It’s a step by step thing. I heard about a young lad aged 12. He was on the autism spectrum and really enjoyed computer games. At first his mom was able to limit it to an hour or 2 per day. (where you create and play your own online games with others, a bit like Minecraft). And as you can imagine this had a massively negative impact on his life (although he didn’t see it that way). * He flat refused to get off the game when she asked. * He was skipping most meals. * Rarely took in fresh air (no exercise whatsoever). * He even assaulted his parents when they tried to cut down his computer time. how to break his gaming addiction. But everything they tried just failed. They could have just pulled the plug. But that chances of that working are slim. to reason a ‘cold turkey no internet’ approach may just become too much for the family unit to cope with. There’s another way too. More subtle. Builds up in stages. To a point where online gaming can be significantly reduced, maybe even stop for a while. And I recently interviewed undiagnosed aspie and Online Addiction Therapist Nathan Driskell about this method. Nathan has designed a proven system to help families take back control, when their child is addicted to the internet and gaming. it’s available to download and read (in a pdf transcript) or listen to (in an MP3 audio file) inside the members area of The Parenting Asperger’s Community. (once you join, you’ll be directed to the special members page to download these resources). There’s a cool artist called Nathan McConnell. He writes comics about growing up with Asperger’s. “Imagine that there were hundreds of thousands of secrets to not only succeeding in the neurotypical world but surviving in general. same situation so many times before, never knowing what you were doing wrong. you, you never heard anyone else tell anyone (obviously) and yet somehow everyone already knew, except you. I think that short post is worth printing out and pinning to your refrigerator door. The more you explain the “hows” and “whys” of life to your child, the better. Because as Nathan so brilliantly pointed out. If you don’t tell your child about something . . . it will probably remain a secret to them. They’ll never really know about the information. They’ll never be able to use the information. They’ll never be able to benefit from the information. They will always be playing catch up. Mis judging or simply not understanding 100’s (maybe 1000’s) of situations each day. And can you imagine being faced with SO many situations which you don’t know how to respond to? How would this make you feel, do you think? Calm . . . or anxious? Confident . . . or depressed? In Control . . . or over whelmed? It’s pretty obvious when you think about it. (As I’ve said before. It’s not really “Asperger’s” or “autism” on it’s own that brings most of the problems. It’s not being able to understand the world and people around them). So as a parent – you are the social guide for your child’s life. It’s a hue-mongous job no doubt about that. But I know you try your very best every day. And continue to do so. So kudos to you for taking this long, but hopefully at times, rewarding journey. I recently posted a picture on the Book of Face; it was of a young man tucking into a plate of chicken nuggets. And I wrote next to it about one of the first times I met the mom of a child with ASD. When I asked her what her son ate, she simply replied “beige”. “Basically chicken nuggets . .. french fries . . . potato waffles . . . and not a whole lot else”. And of course this is a very common experience. So I had loads of moms comment on this post. Some had kids who would only eat orange foods. Some just crunchy (like cereal). The general view was that it’s a BIG problem, to get children with ASD to eat a varied diet. And as a parent you want to provide your child the nutrients they need to thrive. (Plus I’m sure you don’t want the extra hassle of cooking different meals every day for different family members, on top of everything else you contend with). So it’s clearly a problem. And luckily, one mom stumbled on a great solution. For years her son would only eat chicken strips, pizza, chips, and noodles. But she’s found a way around this; by using a skill most aspies are already pretty good at. And she’s had great results so far. He’s trying many more foods now. In fact her son was recently eating couscous with Ethiopian seasoning and dried apricots – just imagine! I think it could well work for some other children too (also teens, and maybe even adults). So I’ve shared her solution in our members Facebook group for reference. If you’re not currently a member and would like to join us then please go to: clicks.aweber.com/y/ct/?l=Kdjaj&m=3m2qU1b42vJlRMX&b=aertlSFGAopY0aye5tjtUw. (When you register you’ll get a link to join the Facebook group, which is one of the bonuses of membership to our online community).